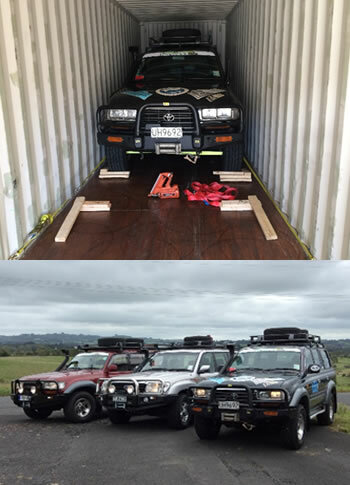 On March 23rd & 24th we loaded 10 vehicles in containers, in Auckland and Christchurch to start the first part of the journey towards Vladivostok. The vehicles will arrive ahead of the clients who arrive on the 1st May. Our shipping agent, GT Logistics always do a fantastic job of coordinating the vehicle movements for Overland Journeys to our interesting destinations !!. This will be the start of the 82-day self-driving adventure. 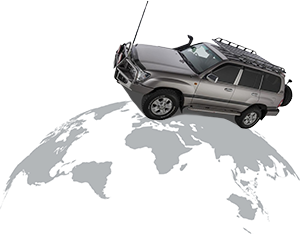 Our clients have spent several months preparing their vehicles for the journey ahead. As they were loaded into the container, they all looked well prepared and very clean as they start the big adventure crossing globe from Vladivostok on the far east coast of Russia to London UK. This is our bi-annual Overland Journeys “Silk Road Overland expedition”. Our 2017 expedition leaves Vladivostok earlier in the season than usual so the weather conditions in the Russian Far East, Central Mongolia and the high altitudes of Tajikistan will give us a chance to experience cooler conditions and snow for sure !! We cross 10 times zones heading West and travel 19,000km so by the time we hit the arid desert regions in Uzbekistan and Europe it will be well into summer and warm. As our interesting convoy of 10 NZ registered 4×4’s head west we will have regular updates on our “Overland Journeys” website and Rallytours NZ Ltd’s facebook page. This year we have a videographer travelling in the lead car so watch for some excellent drone footage.